To help you make a better understanding of Wondershare Fotophire Editing Toolkit, the following guide will tell you how to give a quick start of this program. Step 1. 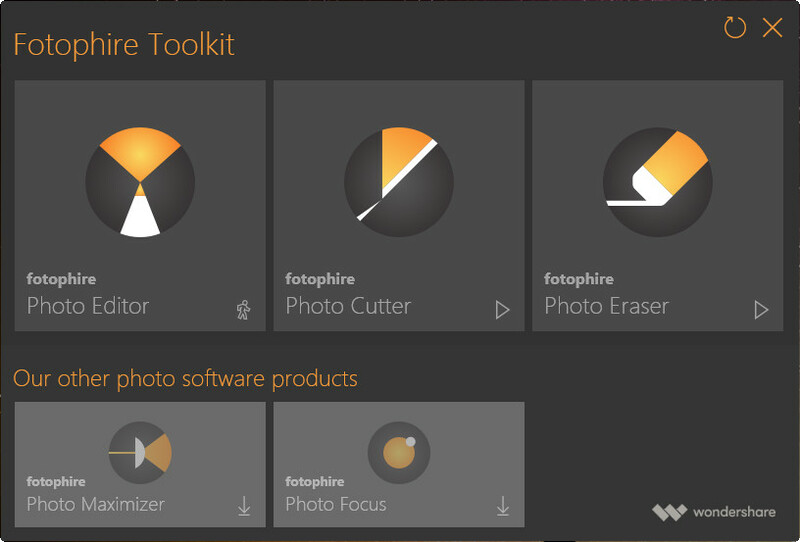 After double-clicking the Fotophire Editing Toolkit icon on your computer, you’ll see a control panel of this program. 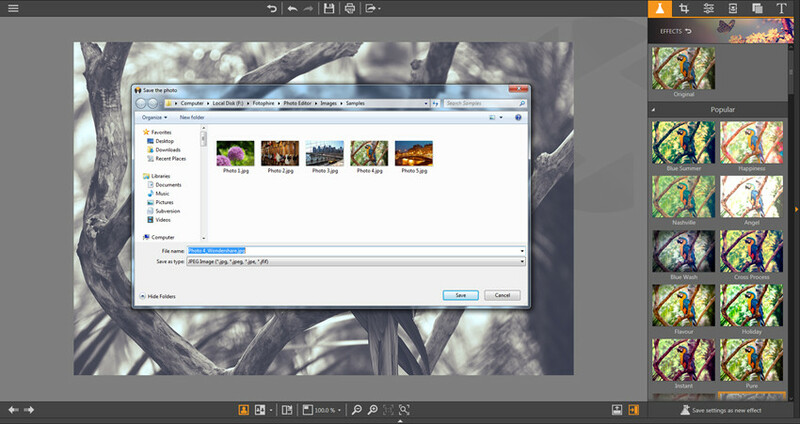 The panel offers you 5 modules, includes Photo Editor, Photo Cutter, and Photo Eraser. And you’ll also be able to choose another two programs, Fotophire Maximizer and Fotophire Focus, for other purpose. Now select the module you want and you’ll see a running notice icon at the lower-right bottom of the module. Step 2. 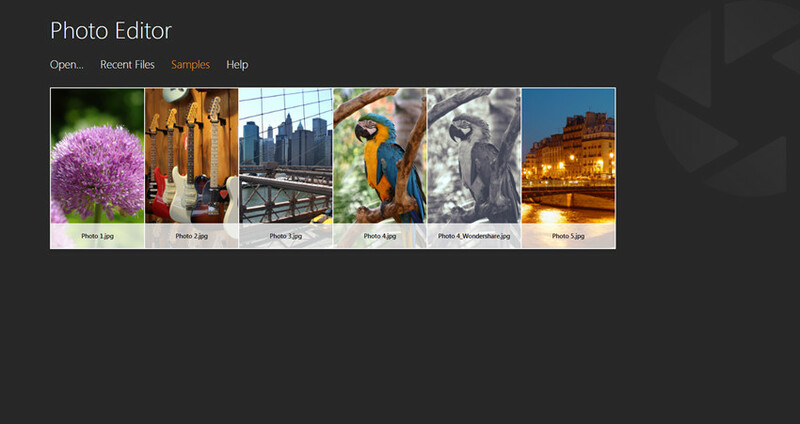 Now you’ll get the main interface of Wondershare Fotophire Photo Editor. Now you can add the picture to the program window by clicking the Add button, or dragging and dropping the image into the program directly. Step 3. 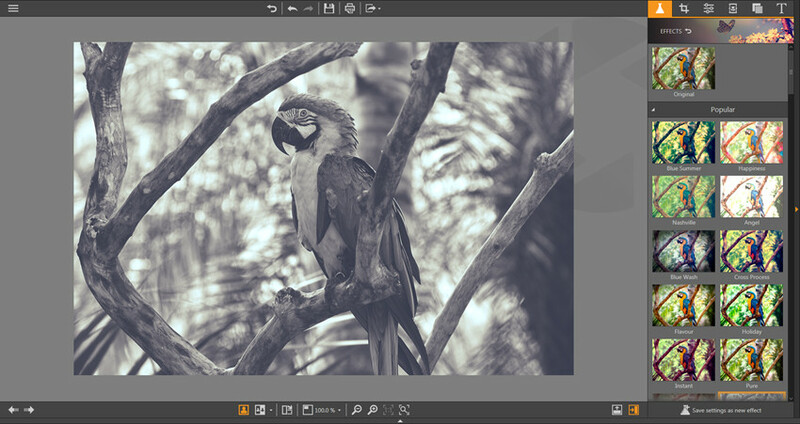 There’re 5 main functions of Photo Editor at the right side of the program window, include Effects, Crop, Adjustments, Frame, Texture, and Text. Let’s set Effects as an example: Select an effect you want to apply on photo, and you’ll get the preview immediately at the left side of the main window. Step 4. When you finish applying effects to your photo, you can click the Save button at the top middle of the main interface, and choose a target folder on your computer to save your changes.